Tensions between the Wills and Renné families are at an all time high. 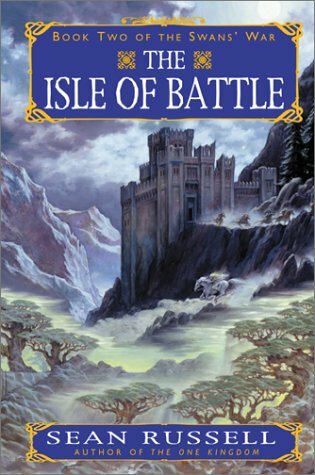 With the loss of his daughter Elise, Lord Carral Wills turns to the Renné family, offering them peace if they will cede him the Isle of Battle in return for supporting his claim as head of the Wills family against his younger brother. But, reeling from the assassination attempt made by three of his own cousins, Toren Renné is pre-occupied with chasing down the two cousins who have escaped his justice. Samul and Beld aren't about to let themselves be caught and executed by their cousin and set out to make a deal with one of their families' many enemies. And then there's Dease, the cousin that Toren would never suspect of being a part of the plot. If needs be, Dease plans to kill Samul and Beld before they can rat him out. However, Elise Wills isn't as lost to this word as her family and their enemies think. To escape an unwanted marriage she has struck a deal with a nagar - a spirit of the dead who hasn't passed on - allowing her body to join with the spirit of Sianon, a long dead sorceress. Sianon and her brothers Sainth and Caibre often warred with each other when they were alive. Now all three have been reborn and the hatred between them still simmers. The two plots of the book are interesting enough, but they don't work with each other at all. Even though there are characters who end up being a part of both plots - Torren and Carral, for example - it's like they are fully part of one plot until they are pulled from it and moved to the second. It's kind of annoying when it's so obvious that two characters are going to get together even though they don't fit well with each other. Tam and Elise were like that for me. Even when they were in separate plots and worlds apart in the first book, I knew that's where the author was headed. Which just makes it worse for me, because Tam, his cousins and their traveling companions continue to be useless characters who could be cut from the story without losing anything. I also think Michael is a better fit for Elise. It's a shame that the two story lines don't work well together, because I don't think it's a bad book. I just wish it could have a more cohesive feel to it.